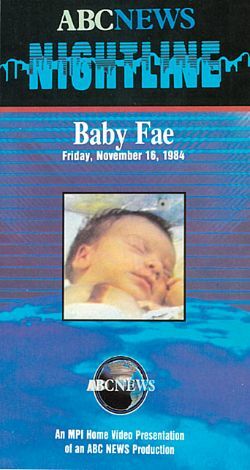 Part of the ABC News Nightline series, which features favorite episodes from anchorman Ted Koppel's award-winning television news program, ABC News Nightline: Baby Fae reports on the short life of the baby girl implanted with a baboon heart, and what she contributed to medical science. The episode, originally aired on November 16, 1984, investigates the famous baboon-heart implant surgery and its outcome. Although an unsuccessful resolution, the experiment provided doctors with important discoveries.